Last weekend, while visiting Olds College, I had a chance to walk around the grounds a little, which were beautiful. What caught my eye were two hanging baskets of orange flowers on either side of a door. 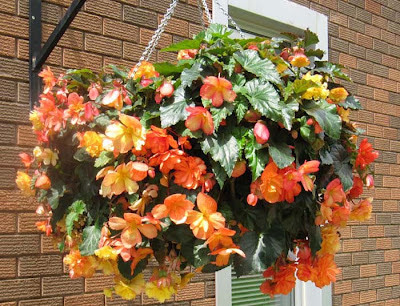 I've been told that they are begonias.